THE RUNWAY – Meet Baby Nathan the Pro traveller & his parents! Today on The Runway we catch up with couple Peter and Hannah on their trip highlights including Thailand and experiences travelling with their baby Nathan. We are a couple that have been married for over 5 years (6 years in October this year). Hannah is from Zambia and Peter from Nigeria – which makes our son Zamgerian! He is 2 years and 3 months. Hannah is an artist and singer and works as a digital executive. Peter is a singer and photographer and works as a software developer. Where was your last trip to and why did you choose that destination(s)? Our last trip was to Salou in Spain (October 2014). We always travel in October because of our anniversary and we had been keeping our eyes on last minute deals. We choose Salou because of the weather and beach. This was just before Nathan’s second birthday in November. Prior to that we were in Malta. We always wanted to go to Malta. It had been on our holiday list for a while and we finally managed the trip in July 2014. We were always drawn to Malta’s deep blue water and all round good weather. We were definitely not disappointed with its amazing blue grottos! Earlier in 2014, we travelled to Thailand. It was a group trip with some friends. 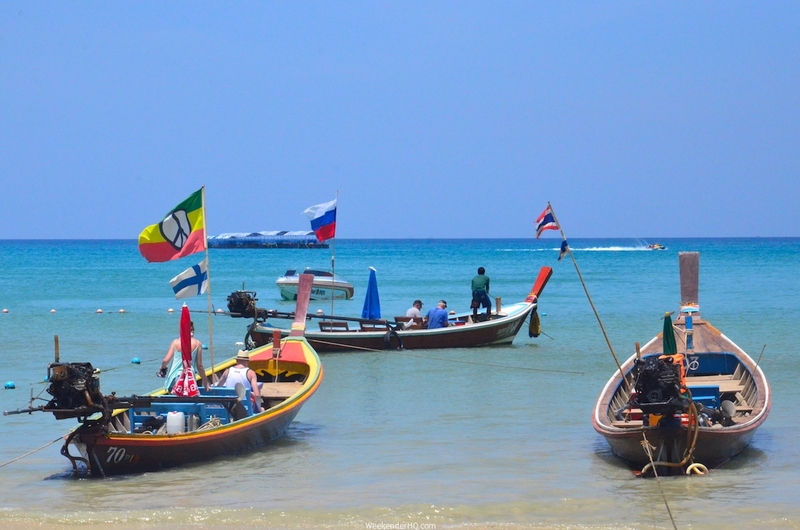 Thailand was one of our honeymoon destinations and when the opportunity came we were eager to go. Nathan was only a year and 4 months when we took the trip. However, Nathan had already had a long haul flight in October 2013 to Zambia and a short haul flight to France in July 2013 so he was a bit of a pro traveller already. For the short haul flights we were not anxious at all, particularly as they were day time flights that did not affect Nathan’s routine. For his long haul flights the concern was about how he would cope with the change in routine especially how it would affect his sleeping pattern. Usually, if a child finds it difficult to sleep they get tired and start crying and we did not want to be the couple with a crying child on the plane! Another concern was the lack of activity for a child so young, as you can’t get them to just watch something on TV. We really couldn’t tell what would happen to Nathan until it happened. And to our surprise he coped – he actually enjoyed it and had fun running down the aisles of the plane. Unfortunately it meant that we didn’t get much sleep on the flight (Thailand/Zambia). Spain, Salou – Nathan didn’t have his phobia for the sand on the beach anymore! RESULT! For us a couple, we found Salou very relaxing. It is a beautiful small beach town with less of the buzz of usual the tourist beach getaways. We took a number of train trips as well i.e. 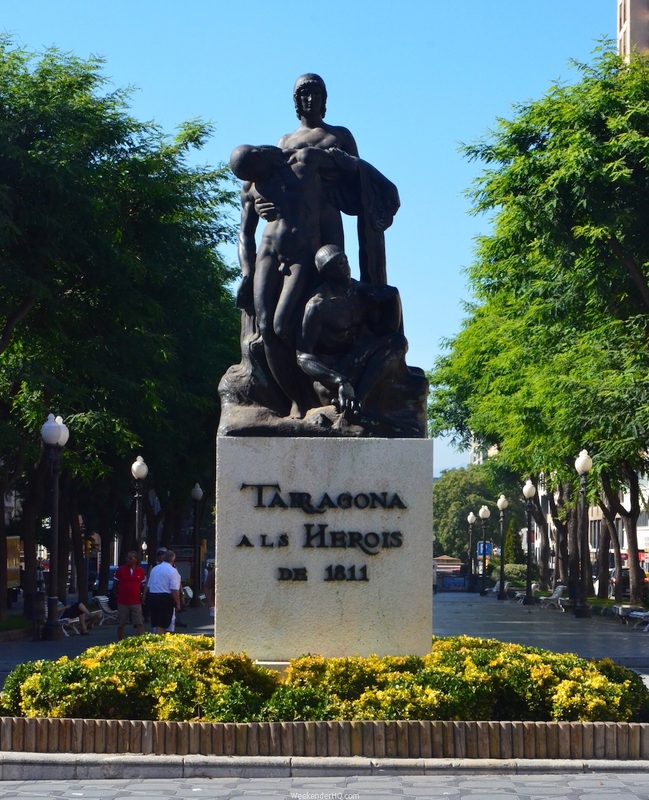 to the nearby bigger town/city of Tarragona which is very picturesque and also to Barcelona which is about an hour’s train journey. Malta – Malta is rich in history and it’s beaches are absolutely breathtaking. 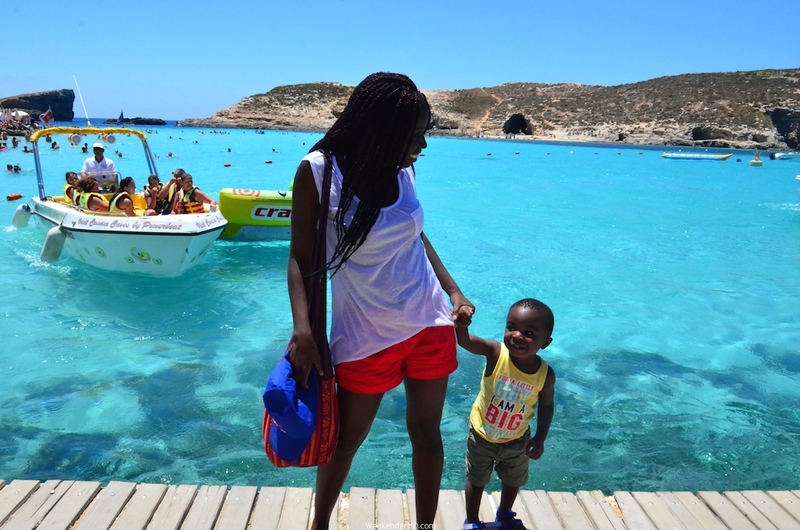 We took a boat to the blue lagoon on Comino Island. Though it was really beautiful, there is not much sand on the beach and it was quite rocky. But we decided to venture out and walked across the Island to an almost deserted beach away from the crowds of the blue lagoon. 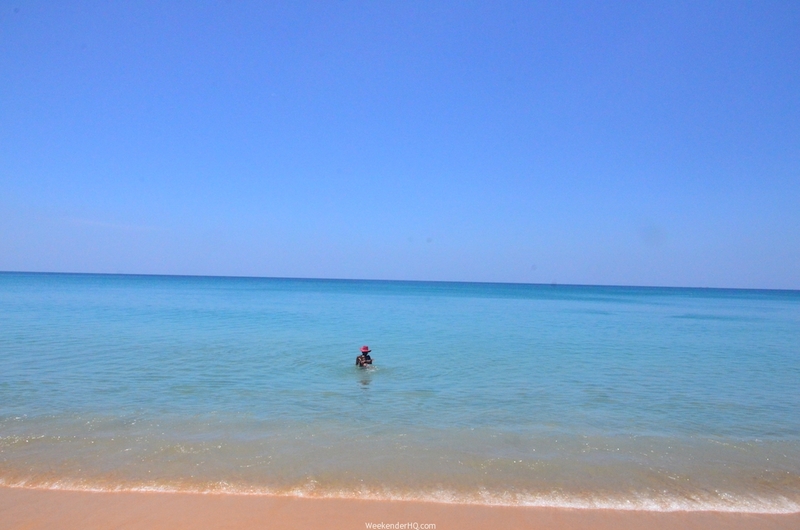 Thailand – The food, the weather, the beaches – not to mention cheap child care/crèches’! We are definitely going back and next time for much longer! A week in Thailand is not enough. 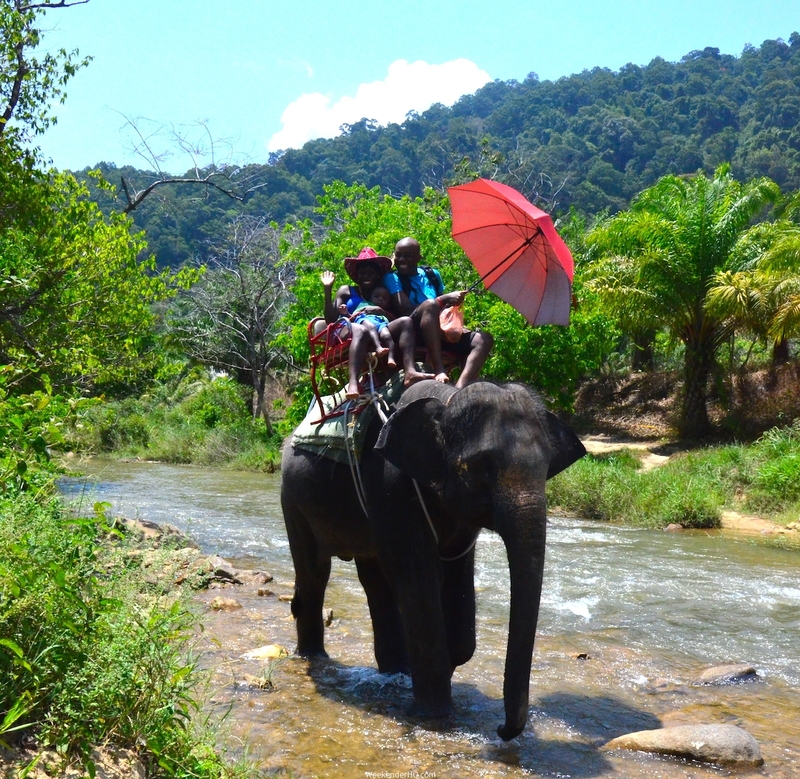 The highlight of this trip was elephant riding! A three of us huddled on one majestic beast! We were later told our elephant was the baby of the group! Buggy pushing and carrying a days’ worth of baby supplies (food, changes of clothes, diapers, nappy sacks, water, drink, milk) for a day out can make it quite tiring. There is just so much to carry – we really built some serious muscles! However, we didn’t let this stop us from site seeing and it is always good to see other couples who are doing the same as you. So it is all possible, we pushed the buggy up the stairs of the magic fountain in Barcelona and folded it up when we took boat trips in Malta. What 3 items could you not do without on the trip for the baby? Have any funny/unusual/horrible experiences while travelling with your baby? In Thailand, Nathan was a literally a little celebrity! 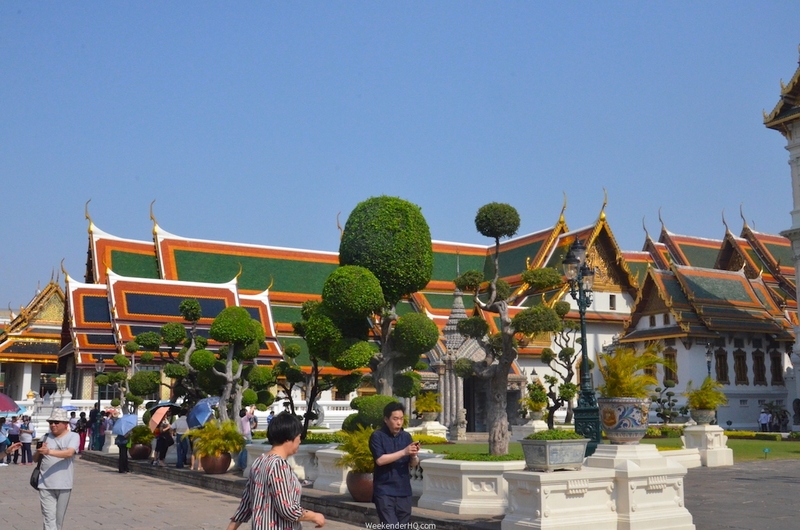 It was fun up until, whilst, in Bangkok while shading ourselves from the hot sun at the Grand Palace, we all sat under a shaded area, and some random woman just took Nathan to take a selfie! She didn’t ask for permission or anything. I was livid and ready to knock her out! The audacity of it all – we were in a confined space so she couldn’t have done anything with him. But to think that those pictures are probably on social media platform somewhere….! One thing that surprised you both about the destination(s)? 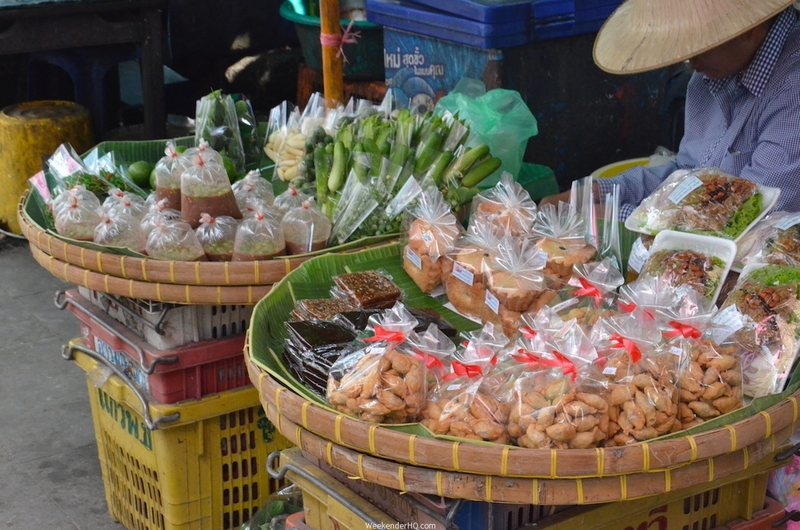 How Nathan coped during our trip to Thailand was quite surprising. Thailand is 7 hours ahead and Nathan had his sleeping pattern massively changed. But after a day of being out of sync he quickly adjusted to the Thailand time. The benefits of having a routine early on with him really paid off for us! What was the best thing about travelling with your baby? Extra special treatment! Just kidding but there is some preferential treatment in some aspects because you have a little one with you. The best thing though is seeing Nathan have so much fun and get excited at experiencing the new things with us. Best tips for travelling with a baby (And/Or What would you do differently if anything on your next trip)? – Also, make sure you have their favourite food with you i.e. Nathan loves Weetabix but we couldn’t get it at the hotel we stayed in in Thailand. Thank you for sharing your amazing travel adventures with us! Wishing you the best on your next trip with baby Nathan! Be inspired and have a great weekend all!